The massive bird, who has an incredible 7ft wingspan and three-inch-long razor-sharp talons, flew off after finishing a demonstration. 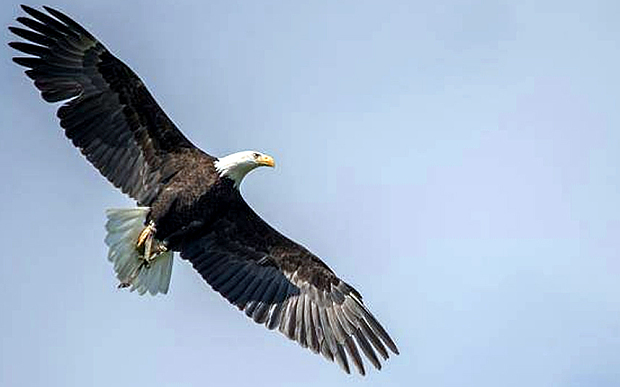 Bald eagles are capable of reaching dive-speeds of 99 miles per hours and can kill animals as large as raccoons, beavers and even lambs with their sharp talons. The flying carnivores are a rarity in Britain and it is unknown how Helga, who was raised in captivity, will act now that she's finally free. 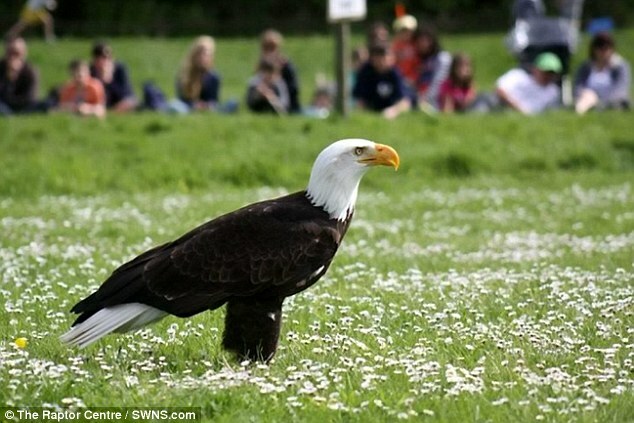 Native to North America, Helga has lived at the Raptor Centre in Groombridge Place near Tunbridge Wells since she was just 18 weeks old. Specialist Ben Andrew of RSPB said: 'Bald eagles typically prey on mammals and fish and it's unclear why this one has disappeared. Helga's owners Freddie and Veronica Hare are on the road searching for her. It's the first time in 17 years the bird has escaped. 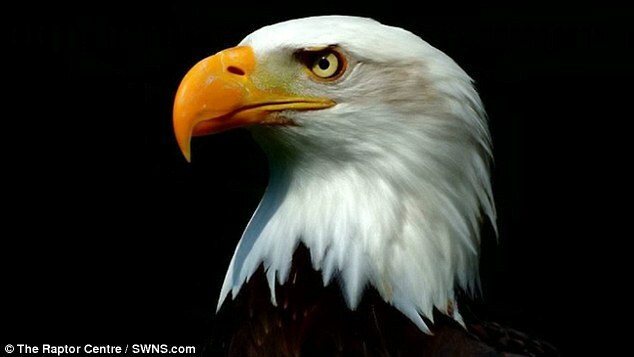 Responses to "Giant American bald eagle escapes from captivity in England"
ok, who will she mate with? Have they found her yet?